For Rent – PREMIER REALTY INC.
Great home on Valley Rd available for rent! This cozy 3 bedroom, 1.5 bathroom home is situated on almost an acre of land. Close to the shopping and restaurants in Hockessin. Features include new carpet on the main level, fresh paint throughout, screened in porch, and more! 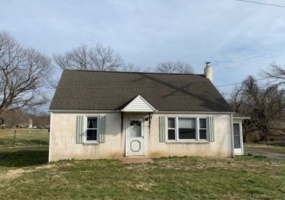 This home is offered through the New Castle County Workforce Housing Program.